For the third year, local citizens eagerly signed up to join the Orange County Experience, a program that enables residents to become more engaged in local government and teaches them how to navigate County services. Mayor Teresa Jacobs assisted in kicking-off the citizen engagement program, a 12-week series encouraging citizen participation in their government. With more than 30 participants, the current class has the largest number of attendees since its inception in 2012. With an estimated 1.2 million residents and 59 million visitors, Orange County is one of the largest counties in Florida. Orange County is home to world-class theme parks and the second largest university in the nation, the University of Central Florida. 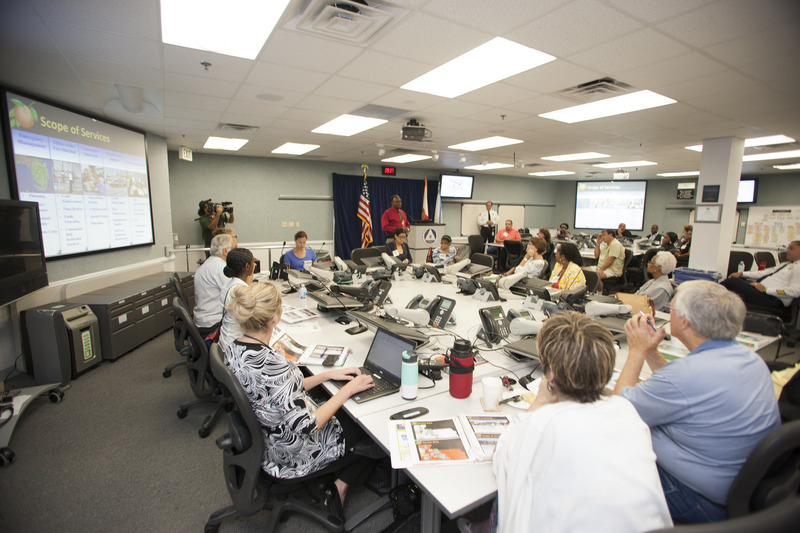 Orange County Government operates with an annual budget of more than $3.4 billion, with 80 divisions and 7,445 employees. Sharon Warner is also one of this year’s participants. Over the summer, Warner won the 2014 Mayor’s Distinguished Citizen of the Year award. Warner is the founder of Family & Friends United, Inc., a program that was started locally more than 20 years ago. The program gives children the tools they need to better deal with challenging situations they may encounter at school and outside the home. Over the years, hundreds of children have participated in Warner’s program and many have graduated from college or entered the military after their time with Family & Friends United. The 12-week class lasts through December 12. For more information visit our Orange County Experience page.